A Washington, D.C. lawmaker introduced a bill on Tuesday that would make significant changes to the way patients are able to obtain medical marijuana in the nation’s capital. Instead of having to wait several weeks for regulators to process their medical cannabis approvals, patients would simply fill out an application with the city health department and would then automatically qualify to legally purchase marijuana on a provisional basis. While patients would have same-day access to dispensaries after submitting the paperwork, their applications could be potentially be rejected later. The legislation’s author, at-large Councilmember David Grosso (I), introduced a similar bill in 2017, though that version allowed residents to self-certify as medical marijuana patients—without the need to involve a doctor—by signing an affidavit, and it didn’t have the stipulation that their qualifications could be later rejected. “While we have made significant improvements to our medical marijuana program over the past few years, there is more we can do to expand access for patients, and bring more people into the regulated market,” Grosso said in a press release about the new bill. The lawmaker argued that by expanding access to medical cannabis, the legislation could help combat opioid abuse. 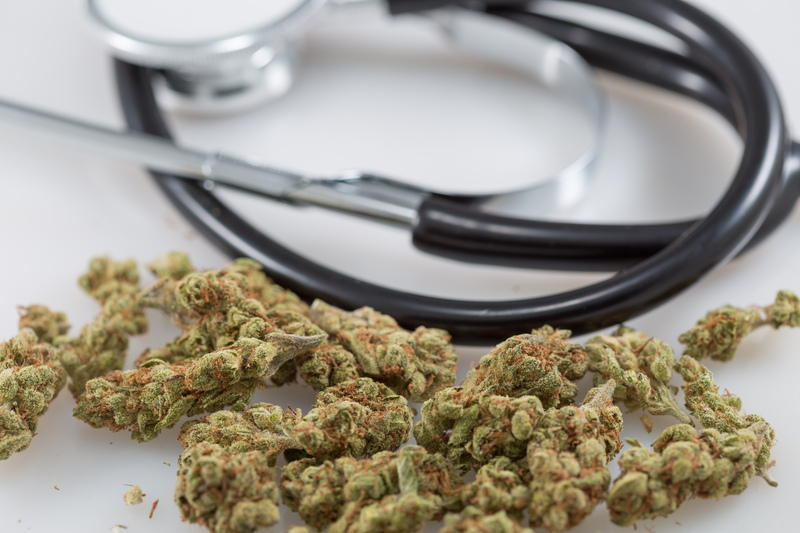 The proposed Medical Marijuana Patient Health and Accessibility Improvement Amendment Act also includes several other changes to the district’s medical cannabis program. Dispensaries would be able to establish “safe use facilities” where patients could consume marijuana socially. That would “address the challenge that many patients face of having nowhere to consume,” Grosso said. There are a number of other improvements to the program as well, such as removing the plant count limit, and allowing more residents affected by the war on drugs to be employed in these businesses. Limits on the number of marijuana plants a cultivation center can grow would be removed under the bill, and delivery services would be allowed. The legislation also seeks to loosen restrictions on participation in the cannabis industry by people with prior criminal records. The bill has two initial cosponsors signed on: Councilmembers Vincent Gray (D) and Brianne Nadeau (D). “Improving access makes sense when we are in the midst of an opioid overdose crisis, but it also is an appropriate response to the challenges we face as a result of congressional interference with our local efforts to regulate marijuana,” Grosso said, referencing a congressional spending bill rider that has blocked D.C. from using local tax dollars to legalize and regulate the sale of recreational marijuana. “That is posing real problems for the small business owners in the medical marijuana community, and our whole medical marijuana system could be in jeopardy if we don’t take action,” he said. The rider is still included in a spending bill that the Democratic-majority U.S. House is expected to vote on this week. Its inclusion in the legislation, along with its appearance in two other spending bills the House has approved this month, isn’t necessarily a reflection of the majority party’s current attitude toward the district’s cannabis laws; rather, lawmakers are voting on what amounts to a copy of legislation that advance in the Senate last year—part of Democrats’ strategy to end the government shutdown, which entered its 32nd day on Tuesday. Separately, Grosso filed a bill earlier this month that would enact a retail market for recreational marijuana in the District. But the rider would have to be removed in order for D.C. to be able to move ahead with implementing the legislation without risking violating a congressional directive.